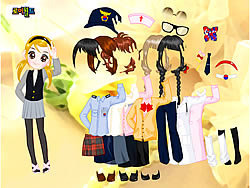 Uniforms Game - FunGames.com - Play fun free games. You either love them or hate them. But did you know uniforms can be stylish too? Then come play this game!